Working in Macclesfield, while having a life down in London means I'm often travelling between the northwest and the southeast. It can be tiring, especially recently as I have been to London on flying visits a number of times over the last 3 or 4 weeks. Thankfully, Virgin Trains operate largely reliably on that very important London-Manchester line which transports the likes of the Chancellor of the Exchequer, Manchester United and Manchester City football teams, plus masses of BBC staff, and my good self! Normally I just have light luggage and nothing else. 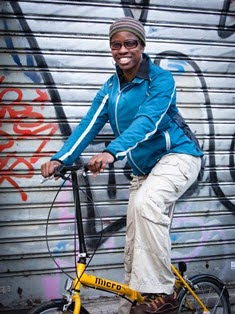 When it comes to cycling I have a road bike in Macclesfield and a mountain bike and road bike in London, so I don't need to carry a bike with me every time I make the journey. However, things are a little more complicated now that the cyclo cross season has started. I only have one cyclo cross bike and I plan to race in the leagues in London, the northwest and the Midlands. So I will need to plan my logistics carefully so that my bike is with me, and not, say, in London when I want to race in Manchester! So this will be a familiar sight for me - as was the case this weekend - loading the bike onto the train at Euston or at Macclesfield and hoping that train staff are there to open the special bike carriage for me, and that they are there more importantly, at the other end to open the carriage door when I arrive at my destination. 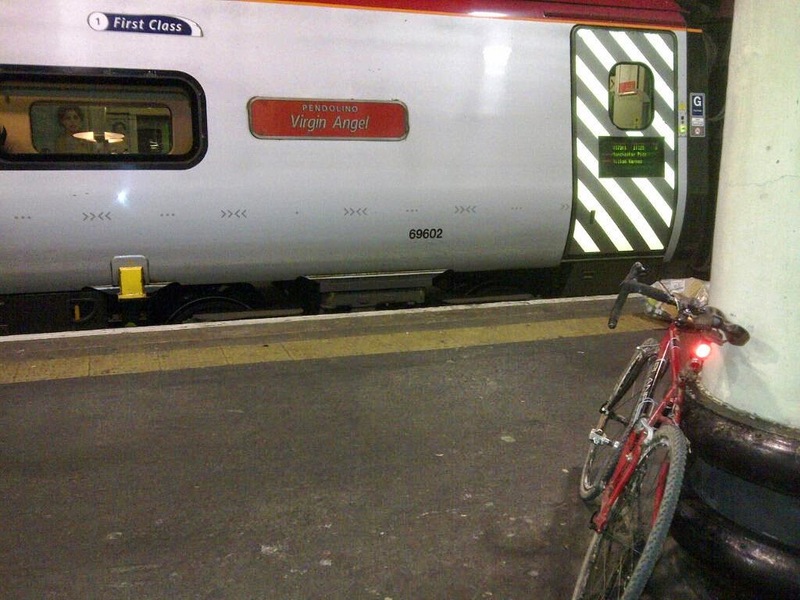 It has been known to happen that you step off the train and then it pulls away with your bike still on it! Hopefully, it won't happen to me any time soon!